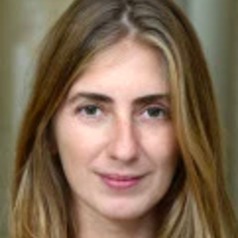 I am a senior researcher at the WZB Berlin Social Science Center and associate professor of political science at the Institute of Political and Social Studies at the University of Rio de Janeiro (IESP-UERJ). I mostly work on democratic theory and comparative politics, although in previous years my focus was on modern and contemporary political theory. My main research interest is the impact of democratic innovations on the quality of democracy. I am particularly interested on how new means of citizen participation (involving, for example, deliberation, e-democracy or direct democracy) contribute (or not) to enhance different dimensions of the quality of democracy (e.g. responsiveness, accountability, equality, competition, etc.). The main focus of my empirical work is Latin America. Currently, I am working on a project about democratic innovations in Latin America. I am building a big database (LATINNO), comprising cases from twenty countries in a twenty-five years period (1990-2015). Cases are being coded for 47 variables concerning the context, institutional design, and impact of democratic innovations. LATINNO is currently funded by the Open Society Foundations. The vast experimentation with new forms of participation and representation in Latin America is also the background against which I have been developing the concept of “pragmatic democracy”. You can find some of my writings on the topic in this website.